Use a wired ethernet connection. Talk to your company's IT team to see if the wireless router you’re connected to is having problems. 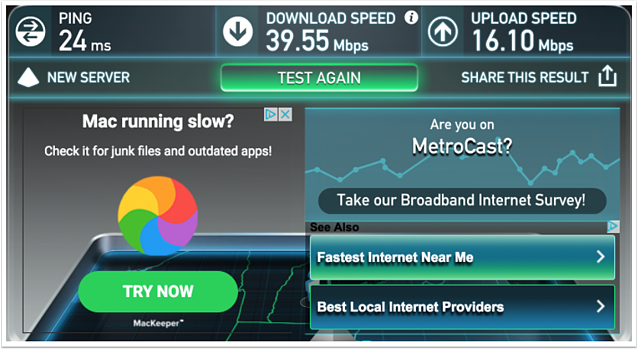 Check with your internet service provider to find out what speeds are guaranteed in your contract. Disable (not delete) all your extensions, then try calling again. If you're able to successfully place calls, re-enable your extensions one by one to isolate which one is causing the conflict. Check your browser settings to confirm you're using the audio device you want, and HubSpot has access. Please note: using a browser on a mobile device or tablet is not supported. If you would like to use one of those devices, you should use the HubSpot app. HubSpot works with a third-party service, Twilio, for calling services. Twilio has specific browser and network requirements for the calling tool to function properly. Run the Twilio tests. The first few tests will start automatically. To complete the voice test, click the play button. Then in the pop-up window, allow Twilio to access your microphone. Record a voice message, then wait for the test to complete. You do not need to run the video tests. Once the tests are complete, successful results will be in green. Test call: the most likely error you’ll encounter will pertain to your audio device. Learn more about how to resolve issues with your microphone. Bandwidth: review the Internet Speed section above. If you aren’t meeting Twilio’s requirements, then you likely aren’t meeting HubSpot’s. The speed test will help you isolate if the problem is upload or download. 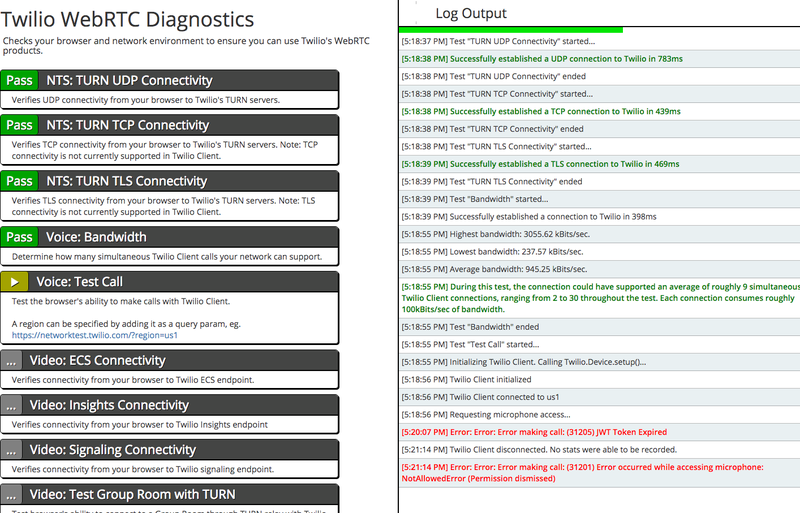 Network tests: check out these articles from Twilio on ICE errors and port requirements. If you're still having issues after taking these steps, reach out to HubSpot Support. When you contact Support, please include evidence that you meet all the requirements listed above, along with information regarding any steps you've taken to resolve the issues you encountered. Right-click anywhere on your screen. In the window that appears, click the Console tab. If you are a HubSpot CRM only user please use the HubSpot Community for further assistance. You can reach the community using the Help button in your account.